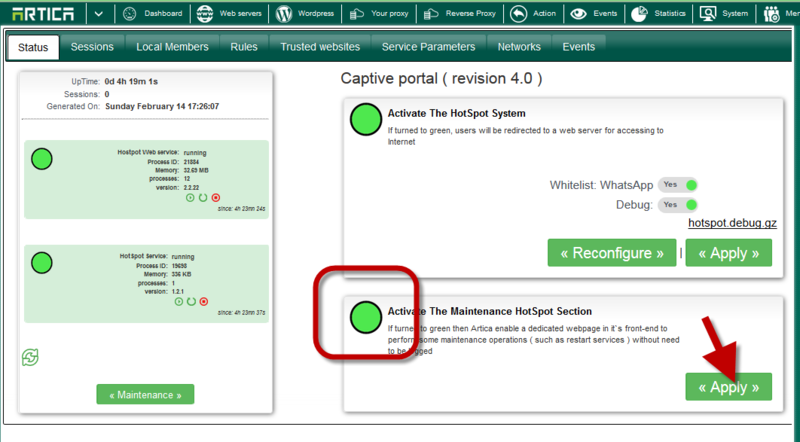 The Maintenance HotSpot section is availble on Artica v2.37 or above. 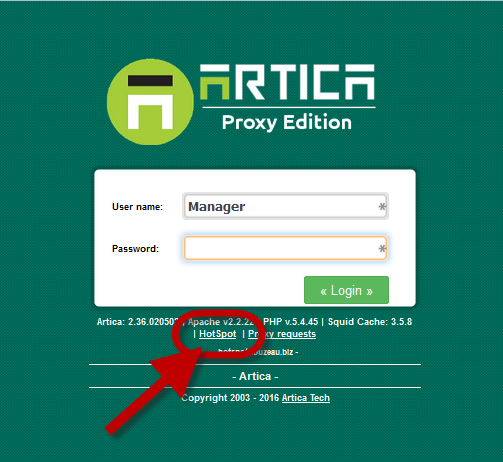 It allows you to restart Web service that handle the portal and to turn the HotSpot into the emergency section without need to be logged on the Artica web console. With this feature enabled, you can see a new link “HotSpot” on the login screen. When clicking on this screen, a new popup is displayed without need to be logged. It allows you to restart the Web service that handle the HotSpot portal or to turn the HotSpot into emergency mode. The Emergency mode allows everything to navigate trough Internet without need to be registrered in the hotspot system.